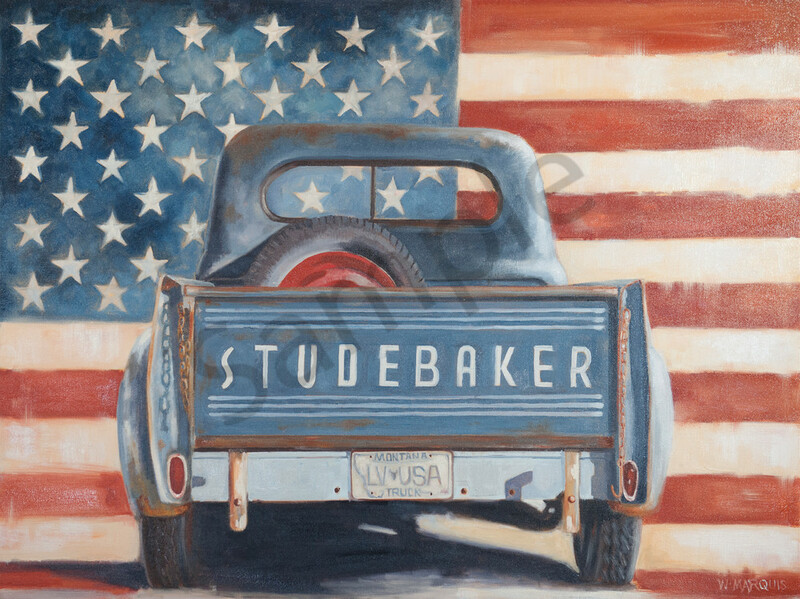 A navy blue Studebaker. Set agains the american flag. I found this gorgeous Studebaker with it's blue patina and red wheel in the bed of the truck out in front of an old building....in Gallatin Gateway, Montana. I placed it in front of the AMerican Flag. The original piece was in the First Strike Friday Night auction as part of the C.M Russell Event on March 18, 2016.